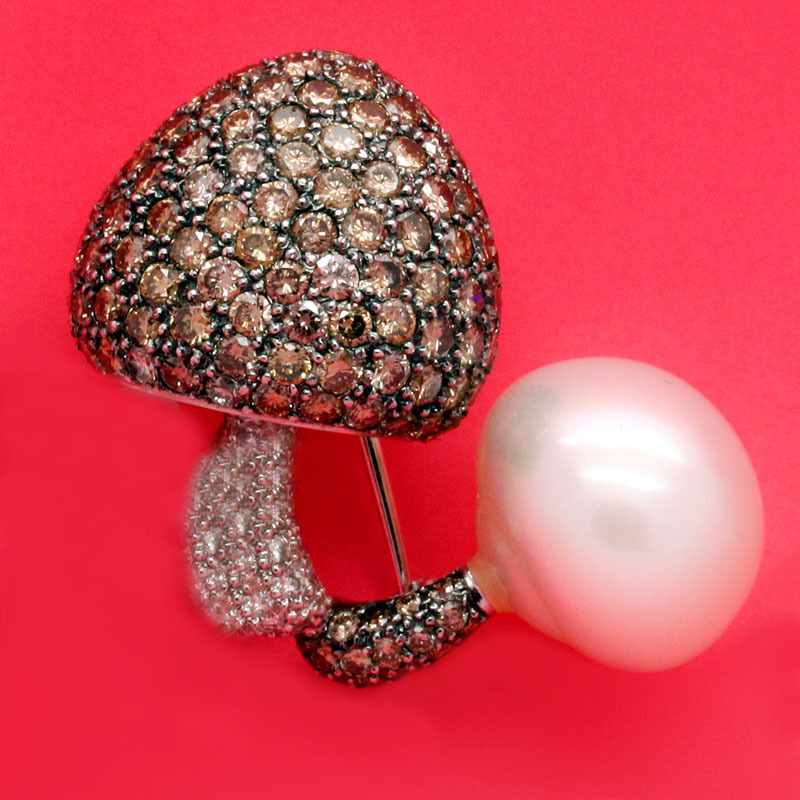 Pearl And Brown And White Diamond Mushroom Pin at Reliable Gold in Rhode Island Reliable Gold Ltd.
Mushroom pin has one pearl head with brown diamond stem and one brown diamond head with white diamond stem to a marvelous effect. Set in 18K white gold, cultured pearl measures 12.9mm and total diamond weight is approximately 2.23 carats. Pin measures 1 inch by 1 inch and weighs 11.8 grams.